"Das auto" has done it again! Volkswagen is on everyone's lips. However, the German automaker certainly wasn't seeking that kind of celebrity. It has been in the news on account of a scandal surrounding the company's emission cheating. A whopping 500,000 owners of the Volkswagen diesel brand filed a class action suit and were awarded a $14.7B settlement - one of the largest payouts in US history. Software was reportedly secretly installed by Volkswagen to mask the actual level of nitrogen oxide emissions during laboratory tests. To settle claims, Volkswagen will pay an average of $5,100-$10,000 in compensation and invest $2B over several years in a zero-emissions cars infrastructure. Imagine new charging stations for electric vehicles. Class action lawsuits like these can have a spectacular effect. That may be perhaps the reason why the CFPB wants to allow individuals to collectively sue the financial industry over excessive charges and hidden fees for student loans, consumer loans and credit cards. This new rule has a 90 day public comment period, after which a final rule will be drafted and take effect in 2017. While the rule doesn't apply to existing accounts, customers could pay off their old loans and borrow again under the new rule. Until now, mandatory arbitration clauses were mainstream in the financial industry. These clauses were in many contracts, after the Supreme Court in 2011 allowed businesses to insert class action waivers as addendums in contracts. Last year, a CFPB study revealed mandatory arbitration was the rule for 53% of credit card issuers and 86% of student loan lenders. In addition, the clauses were found in 92% of prepaid card agreements and 99% of payday loan engagements. Consumer advocates naturally applaud the CFPB initiative but, the financial industry worries about the impact and higher costs. 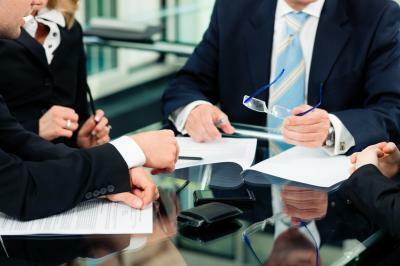 Industry experts say arbitration is faster, cheaper and more efficient. These experts point out that on average, arbitration awards are 166x bigger than the sums received by consumers in class action lawsuits - even though arbitration is seldom used. Bankers worry that with net interest margins so low and profitability difficult to come by, that this new regulation could hit already hampered institutions. They worry that it could lead to an upsurge in litigation and force banks to adjust fees. Bankers know that they could end up in court, so they will move to adjust and will have no choice but to pass on future litigation costs to consumers. Analysts expect prices of private student loans, credit cards and other consumer loans to increase as banks respond to this new expense. Professionals also warn that some banks as a result of this will also hesitate to do business with riskier customers. This could push some groups out of the banking system entirely and into the arms of payday lenders or others who charge much higher fees. Look for risk managers, executives and lawyers to get together in conference rooms at banks all over the country in the coming months and quarters. They will be focused on analyzing and trying to identify which groups of customers are most likely to focus on class action activities. Once they have identified the list, look for them to then consider whether to lend or not to lend to each group. Ultimately, rather than to be wrong here, most will probably just ask the lawyers and cut various groups off in order to avoid the inevitable risk that some businesses may carry. Well, at least banking doesn't have to deal with the nightmare facing Volkswagen right now. Disappointing policy action from the Bank of Japan and weaker than expected US GDP tanked yields by 5bp. Research by Clutch.com of small businesses finds areas these companies expect to improve this year on CNBC - their website are: search engine optimization (40%); social engagement (40%); content (39%); design (38%); features (36%); mobile friendliness (32%); security (31%); user experience (21%); site performance (21%); marketing automation (19%) and no plans to change anything (7%). A Wells Fargo survey of small business owners finds 30% of millennial owners report having student loan debt, owing $30,000 on average. Deloitte research finds over 50% of companies are working to change their culture in response to changes in talent and increased competition. Research by the Berkeley-Haas School of Business finds over a lifetime entrepreneurs will earn about 10% more than those who work in salaried jobs. CNBC reports that an executive at Ellie Mae indicates 91% of millennials say they intend to own a home one day. Gallup's Economic Confidence Index finds 59% of people surveyed think the economy is getting worse vs. 37% who say it is getting better. Not a good sign for future consumer spending or significant increases to GDP. An Animoto survey of small business owners finds 60% say they plan to increase investment in video in 2017. Research by the Global Financial Literacy Excellence Center on Millennials finds 40% have used payday loans or pawn shops, 30% overdraw their checking account and 20% have taken hardship withdrawals or loans from their retirement accounts in the past year.